Supplier & Manufacturer of Flexible Hose. Our product range also comprises of Firefighting Hoses, Fire Hydrant Valves and Hose Wheels. 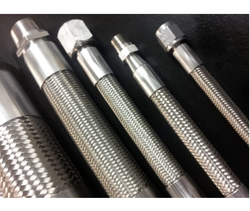 Keeping in mind diverse requirements of our clients we are involved in offering a wide range of Teflon Hose. The offered product is manufactured using high quality raw material and advanced technology as per the set industrial norms. This is available in various thickness and dimensions as per the customer’s requirements. It is widely used for building, dams, irrigation purpose and many more. Moreover, clients can avail the offered product from us at industry leading prices.